Steve first started Jiu-Jitsu at the age of 9 with South Pacific Jiu Jitsu Society in Auckland under the late Laurie Olliver (7th Dan Black Belt). He returned at age 18 under the instruction of the late Jack Bailey (5th Dan) and Terry Evans (5th Dan). Steve actively competed and won several Gold and Silver New Zealand titles. In 1987, Steve an orange belt at the time, fought against a black belt and won Gold in the Australia & New Zealand NZJJA under 65kg Title in Australia. Steve understood early on that you must train both grappling and stand up so he embarked on journey as a student of JKD under Philip Lee and Wing Tsun Kung Fu under Sifu Peter Yu. Steve then returned to the ‘Gentle Art’ and has been training with Matt O’Dea since 2008. Juggling a young family and business, Steve obtained his Blue Belt under Steve Oliver (3rd Dan) from Oliver MMA in 2013. Steve helped and ran the kids BJJ class at Oliver MMA North Shore before moving to Coast Academy BJJ with Matt. 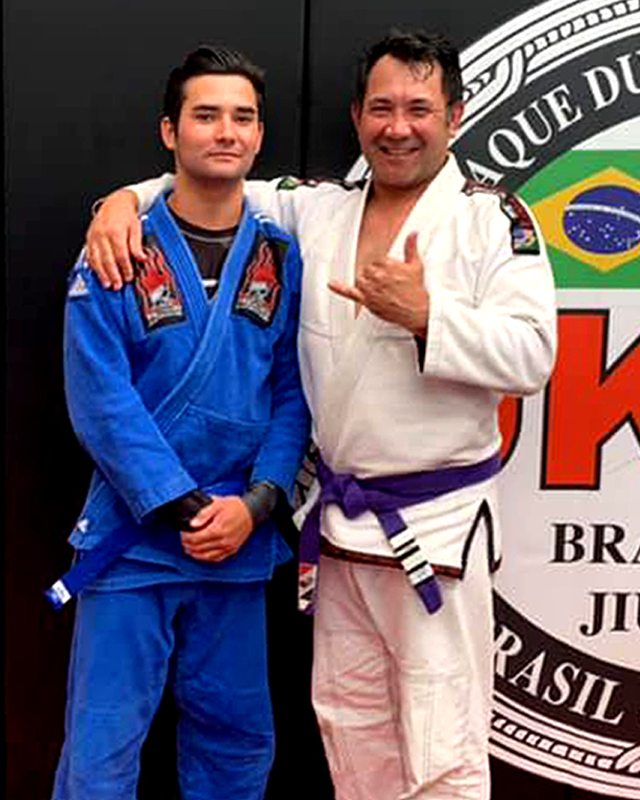 In 2016, under Pedro Fernandes (3rd Dan) from Tu Kaha Brazilian Jiu-Jitsu, Steve obtained his Purple Belt. Steve is heavily involved in Coast Academy and offers support and coaching, his sons also train with him. Steve also is a Level One Referee and regularly ref’s at Gi and No Gi NZ Grappler Competitions.